Is walking your dog a nightmare? Do you find yourself walking your dog less? Crossing the street or hiding behind cars when you see things that could set him/her off? Does your dog pull, lunge and bark at other dogs, or chase bicycles? All of that can change in as little as two sessions! Owners are under the impression that it takes weeks or months to train a dog to walk obediently, but with our specialized, time tested training system, we can create amazing results in virtually no time – as you can see in this video! In this Walk Rehab program, our trainers Amber or Korri will show you how to train your dog to walk politely next to you, without marking, pulling, lunging, lagging or showing any other unacceptable behaviors in just 2 lessons. In the first session, you will learn the ins and outs of the structured walk, including the concepts of thresholds and auto-sits, and the importance of the handler’s body language and energy. By establishing leadership with proper tools, techniques and our training philosophy, you will learn how to create an unspoken connection with your dog so you can finally enjoy a peaceful walk. At the end of the session, we will put all of this into action with a walk at the local park. In the second session, you will apply what you and your dog have learned to the “real world” on the local streets and parks. 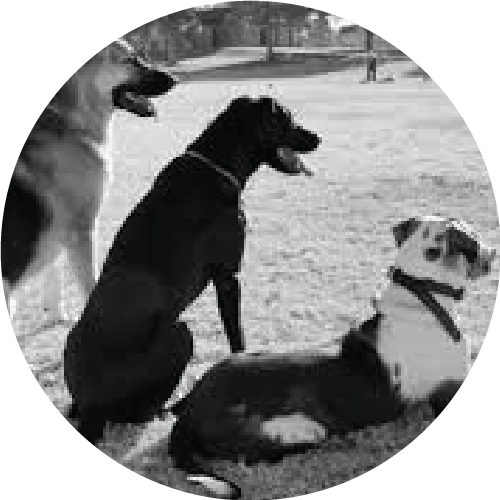 We will create distractions with our personal, fully trained dogs and role-play situations with which you are struggling. You will learn not only the common mistakes folks make with the walk, but how to avoid them and what to do if you happen to find a challenging situation.